Whether you live in Bensalem, PA; Levittown, PA; Langhorne, PA or anywhere for that matter, keeping your indoor carpeting clean is important for many reasons. Keeping your carpets clean improves the appearance of your home. If you clean everything but the carpets, the overall look of your home will still suffer, minimizing all the hard work you have done to clean it. Keeping your carpets clean will also improve the air quality indoors. It creates a clean and fresh environment for everyone, especially your young children and pets who spend a considerable portion of each day relaxing, resting and playing on the floor. Even if you are a young, single professional or have an empty nest, it is highly recommended that you have your carpets cleaned at least once per year. If you have a pet, small children, or a smoker in your family, you need to consider a twice yearly schedule for having your carpets cleaned. If you have a large family, a couple of pets, or a smoker or two in your home, the recommendation is that you have your carpets cleaned quarterly, or four times a year. OxiGreen Carpet Cleaning in Bensalem, Pa is a locally owned, 100% green carpet cleaning company that is reputable, affordable, and even available for same-day carpet cleaning appointments! OxiGreen in Bensalem, PA has invested in modern, truck mounted carpet cleaning machines that blast hot water deep into your carpet fibers. This process dislodges the pollens, mold spore, dirt and dust mites that get trapped where most vacuum and carpet cleaners never reach. The suction strength of these powerful machines removes this debris, right along with 98 percent of the water. We leave behind clean, fresh, and fast drying carpeting, with not a trace of toxic chemical residue. 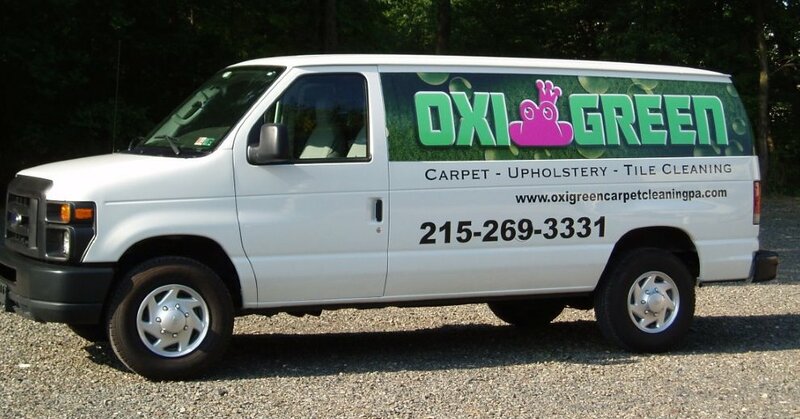 Call OxiGreen in Bensalem, PA at 215-269-3331 today to get started on a regular schedule of carpet cleaning and maintenance. You’ll be happy with OxiGreen.